Italy was our next stop in Europe during our June vacation. 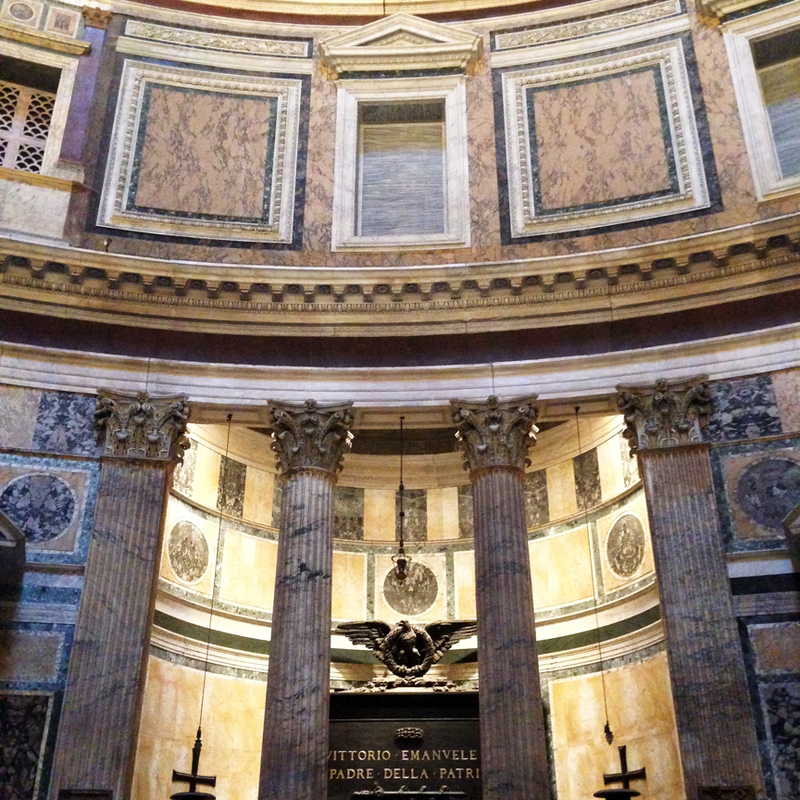 We took a quick 2 hour flight from Paris to Rome via Vueling. I’m always amazed at how easy it is travel within Europe via air. 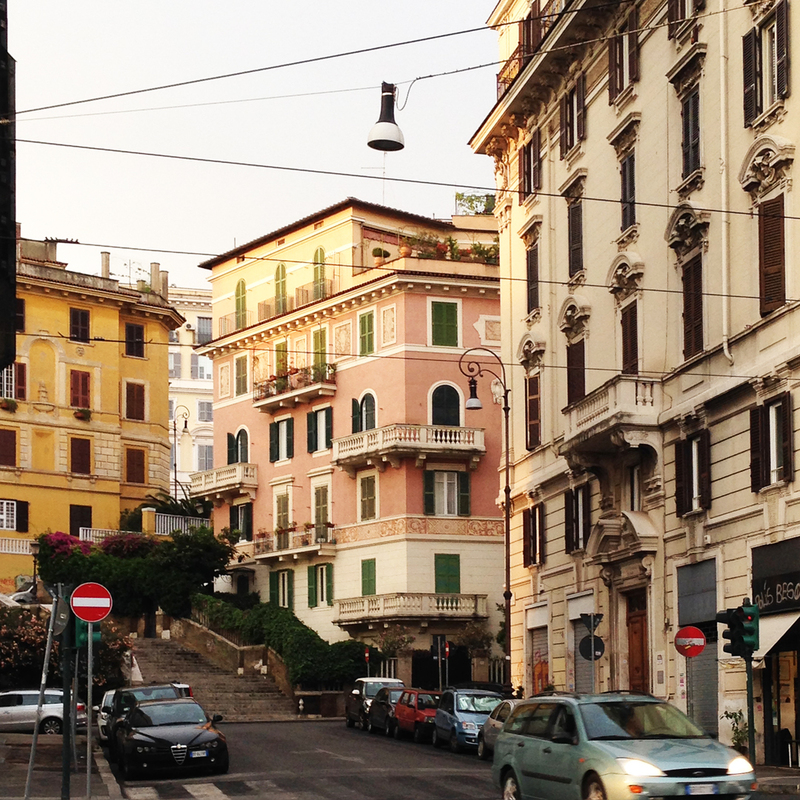 We spent four days in Rome in a hotel near the Spanish Steps. 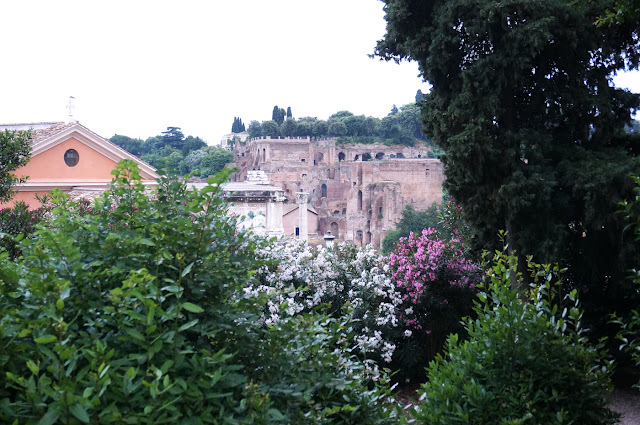 Our first day there we my husband downloaded an audio walking tour onto his phone and we set out to explore Rome on foot on our own. 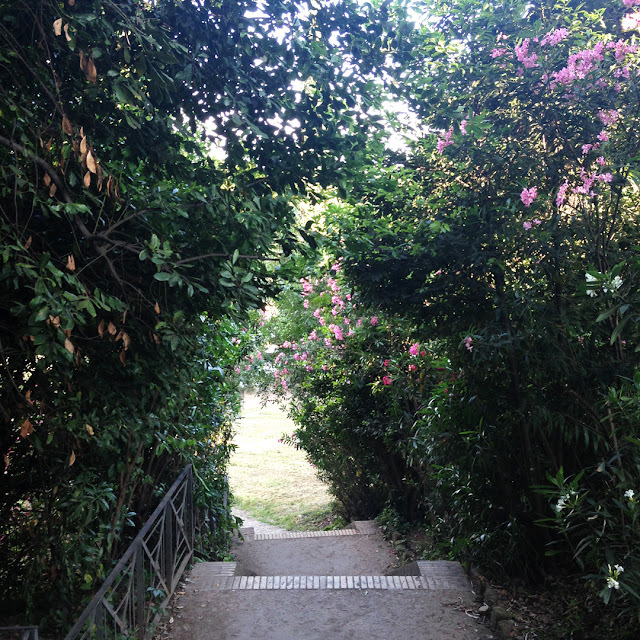 It was a very relaxing way to see a lot of things in Rome at our own pace. The week we visited Rome it was very hot and sunny during the day at 28 to 31 ºC (82 to 87 ºF). Three of the four days it was too hot to wear any makeup – I only wore sunscreen on my face. It rained on and off in warm showers but it was more of a light sprinkle. 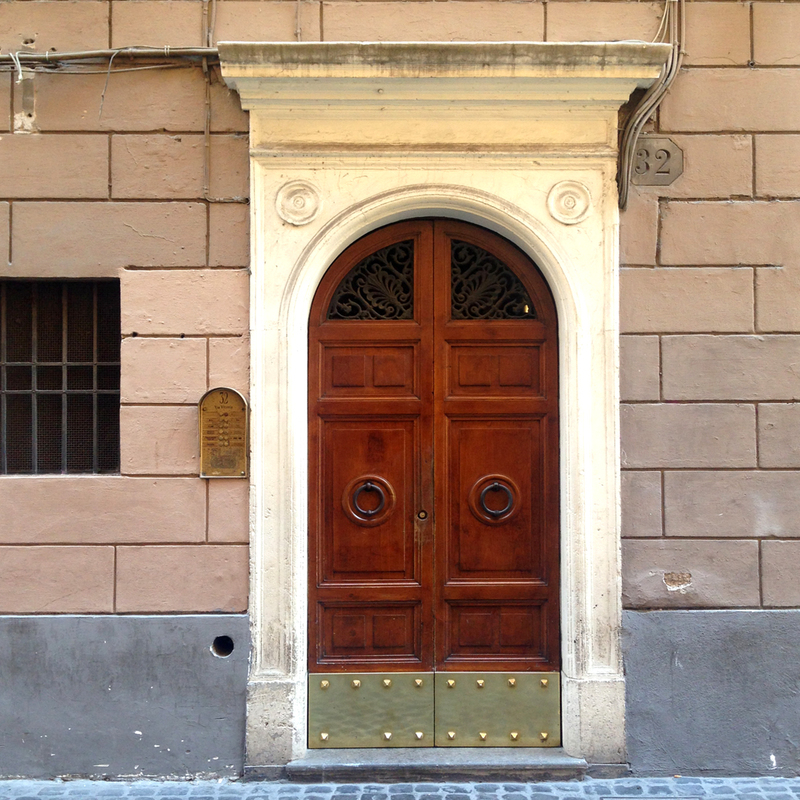 Walking through Rome felt like we stepped back in time. Ruins and monuments were everywhere and it felt like the entire city was almost like an outdoor museum. Many of the buildings were going through renovations and construction and partially covered, but it was still beautiful to see everything. Most of the Trevi Fountain was covered with scaffolding and the entire area was fenced off. 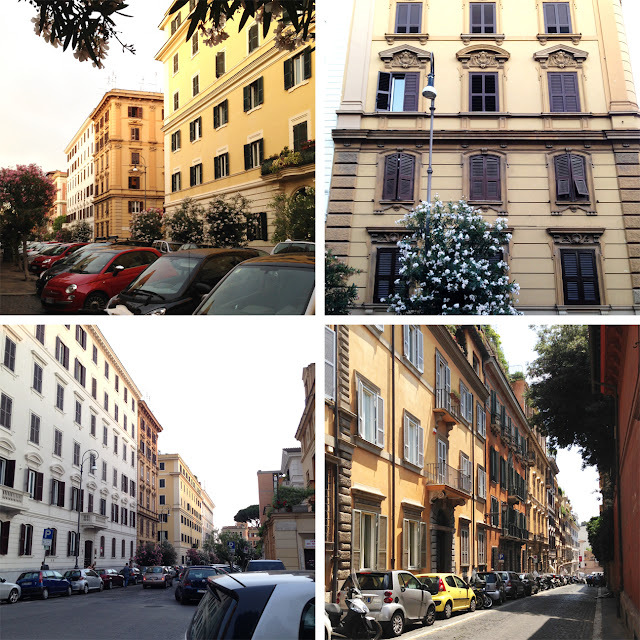 Our week in Rome was planned more for adventure versus relaxation. 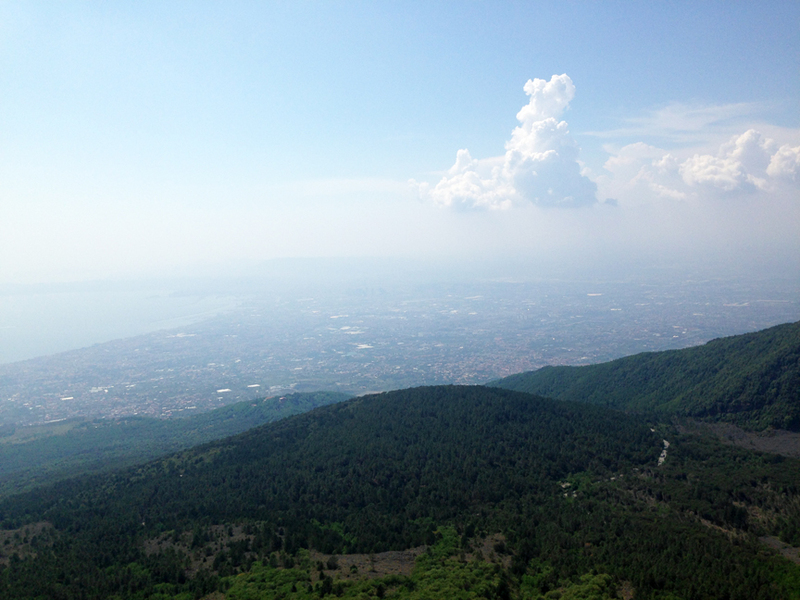 Two of the four days were spent hiking and biking outside the city. 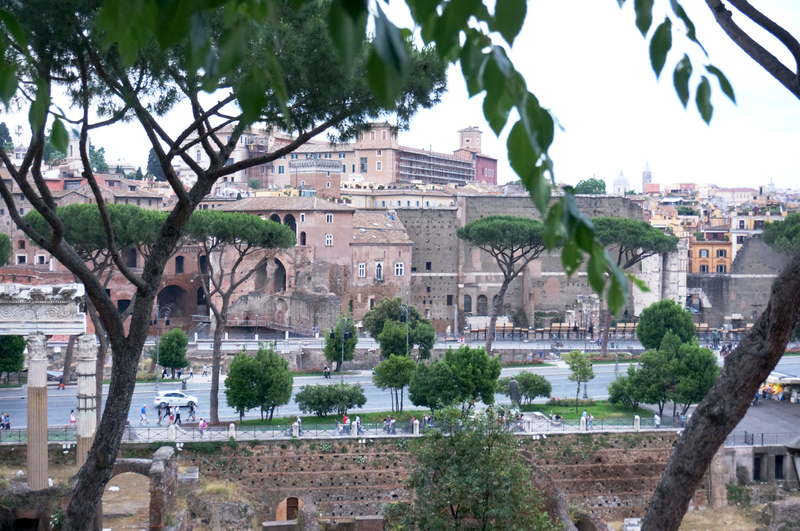 The areas and sites we visited included the Colosseum, Spanish Steps, Vatican, St. Peter’s Basilica, Appian Way, Roman Forums, Trevi Fountain, Palatine Hill, and the Pantheon. We also took a day trip to Naples to visit Pompeii and Mount Vesuvius. It was really interesting seeing the differences in architecture in Rome after visiting Paris. 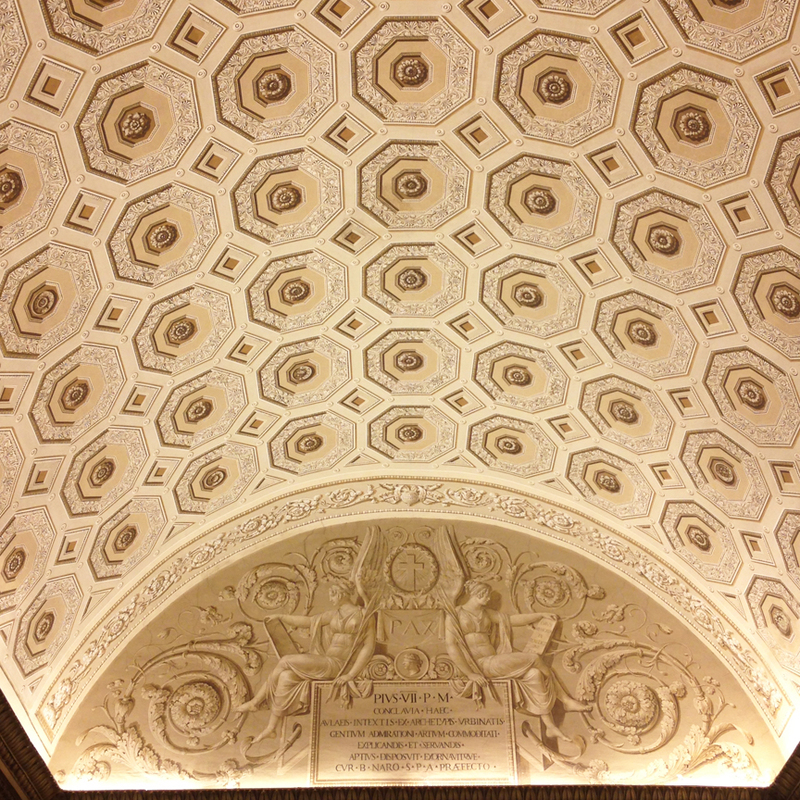 There are similarities in the classic style that you see throughout the city. The streets in Rome are small and narrow. I was surprised to see that the alleys in between buildings were actually roads – I was seriously impressed to see cars and vans maneuver their way through the tiny roads without hitting motorcycles, other cars, or pedestrians. Many of the cafe tables and chairs were laid out right along the alley – cars would drive up right next to them as they went through the streets. Across the street was the cutest cafe called La Buvette. We ate breakfast here and they had the best café latte that I’ve had in my entire life. Both my husband and I enjoyed breakfast Italian style where you order a drink and pastry at the counter and eat/drink standing up. Note if you’re new to visiting Europe, an American Latte isn’t the same in Europe. 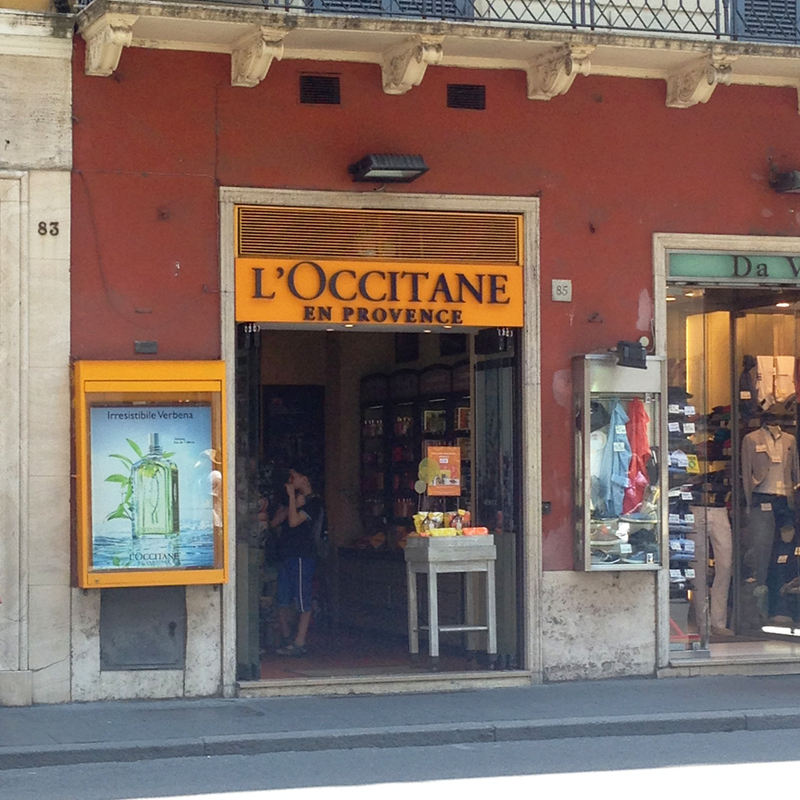 If you order a “latte” in Rome, you will only get milk. Ask for a Café Latte. The ones in Rome are truly amazing. My husband enjoyed the cappuccinos. 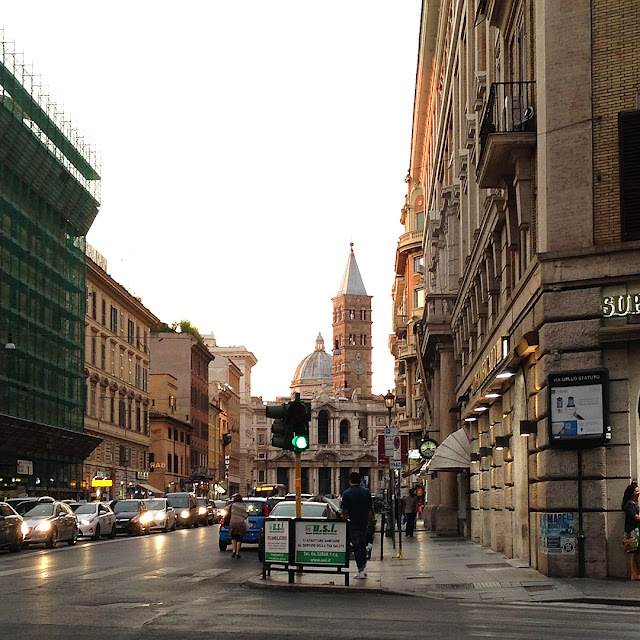 Food in Rome was pure heaven for me as Italian food is my favorite. I could live off pasta and pizza 24/7. The Italians know how to cook pasta perfectly al dente which is firm but still fully cooked. I wish I took more pictures or note of the restaurants we visited. This pizzeria called La Montecarlo was recommended by our tour guide. 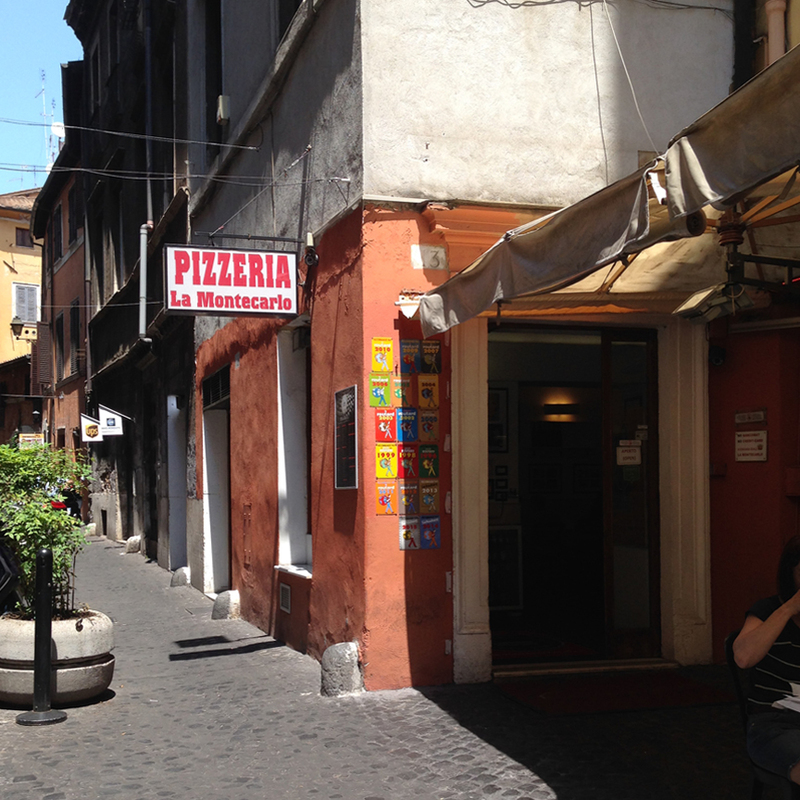 She said it was the best pizza in Rome. Both my husband and I really enjoyed the food here. I would go back in a heartbeat. 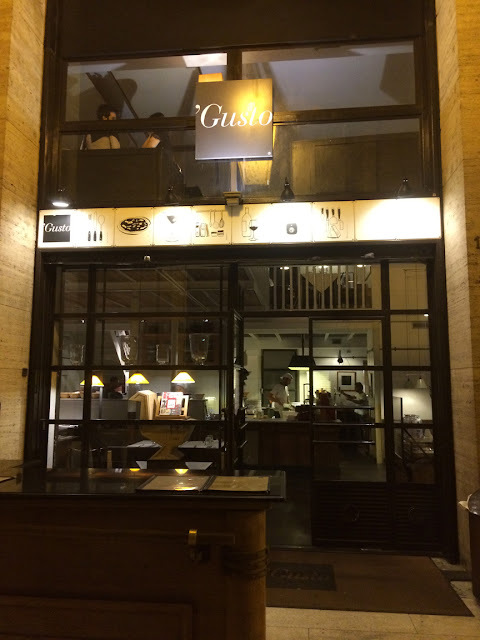 My favorite place out of all the places we went to in Rome was this restaurant called Gusto. There are several variations of the restaurant all within the same block. There is a cafe for drinks and desserts, an outdoor casual cafe, an area just for pizza and a more formal dining area (although the dress isn’t formal). We ate here twice for dinner – it was that good. My favorite place was this gelato and candy store called Venchi. I wish I had bought more candy at this store, best chocolates I’ve ever had. This was a rare moment when it wasn’t packed. It was close to our hotel room and every time we walked by there was a line out the door. In terms of shopping, we didn’t do much. 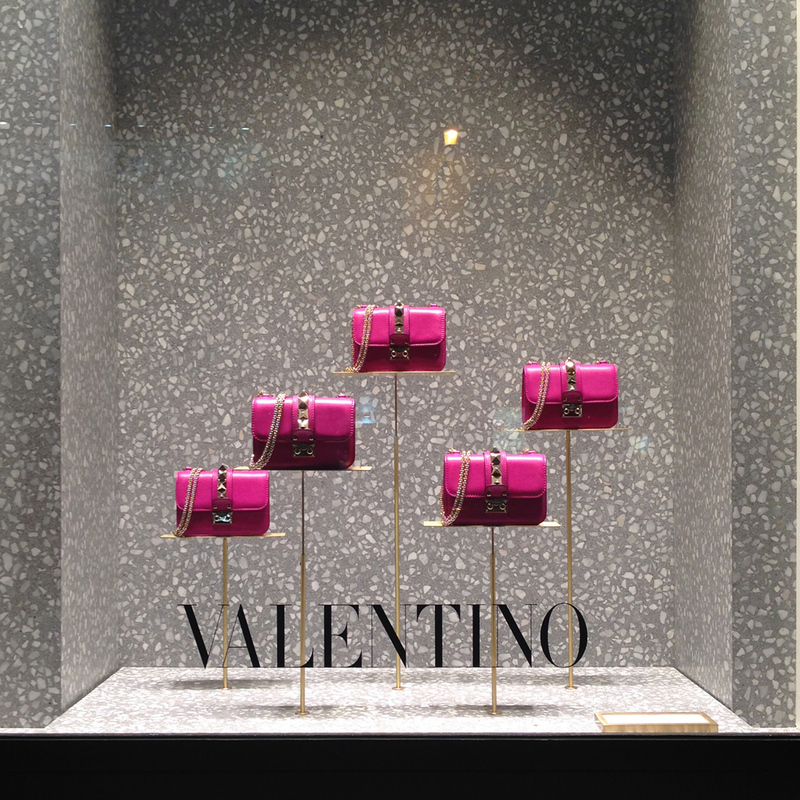 I took a few snapshots of the Valentino windows. I purchased some bath cubes from L’Occitane because I thought they were mini soaps. Oops! Zara seemed very popular – I wish I had stopped inside a few but it was so hot we were in no mood to do any clothes shopping. For tours we booked three with City Wonders. In general we were happy with the tours. 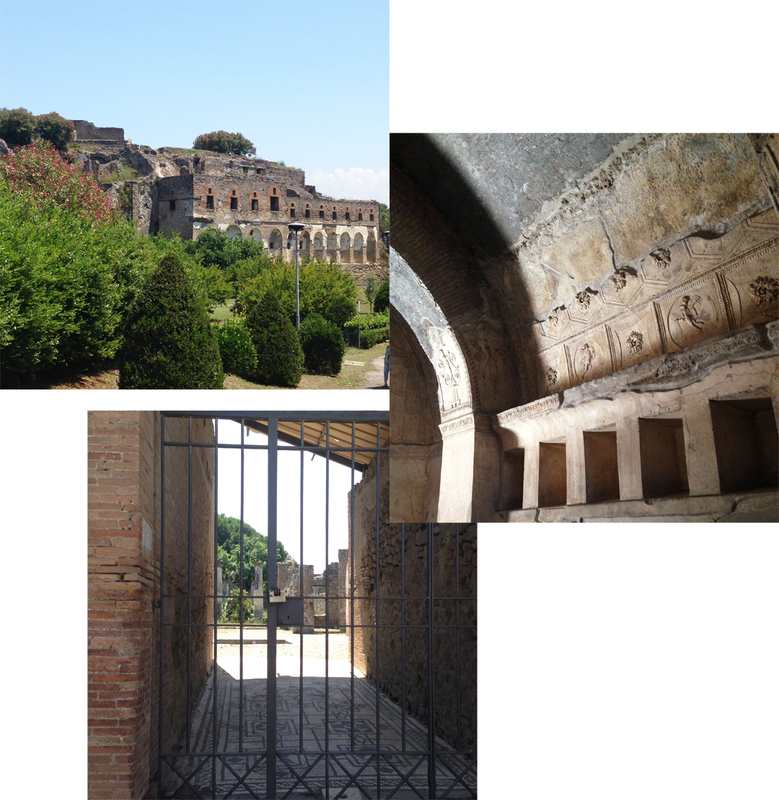 They were easy to find, tour guides were friendly, One was a day trip to Pompeii and Mount Vesuvius which we both really enjoyed. We had three different guides all of which were excellent. The day we went was extremely hot but we both had a lot of fun. Pompeii was incredible. 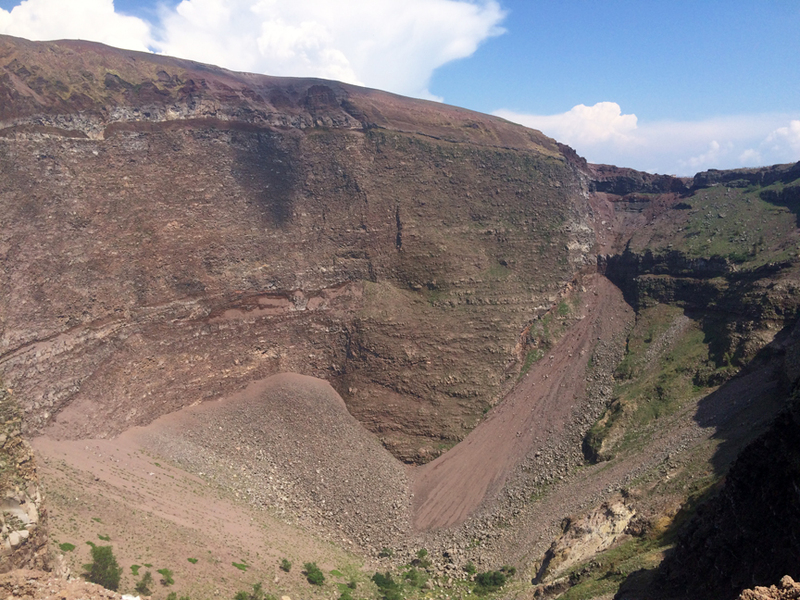 Mount Vesuvius was the highlight of the trip for my husband. I was ok climbing up the hill. It took about 45 minutes to walk to the third gift shop which is the farthest they will let you walk without a special guide. Walking down the hill was another story – to say I have a fear of heights is an understatement – my husband had to hold my hand the entire way down (yes, I’m a big chicken). 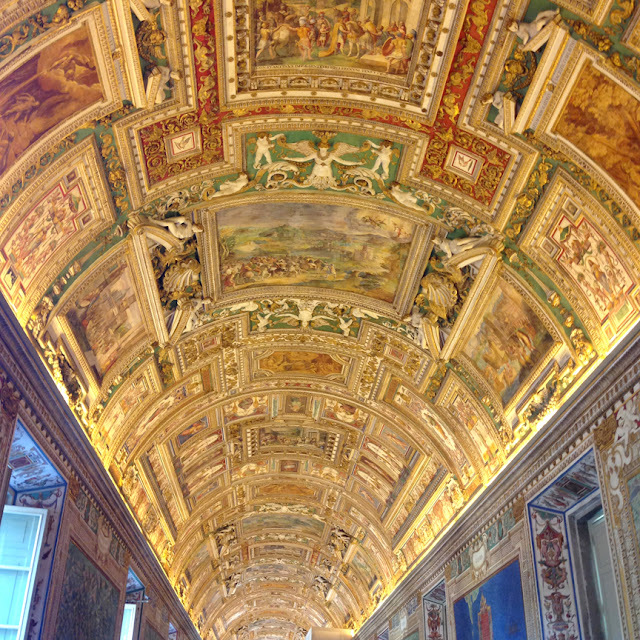 Another tour we booked was the Vatican City and Colosseum Duo. We were happy to be able to see both but given the crowds and heat, the tour guides moved us at a fast pace. 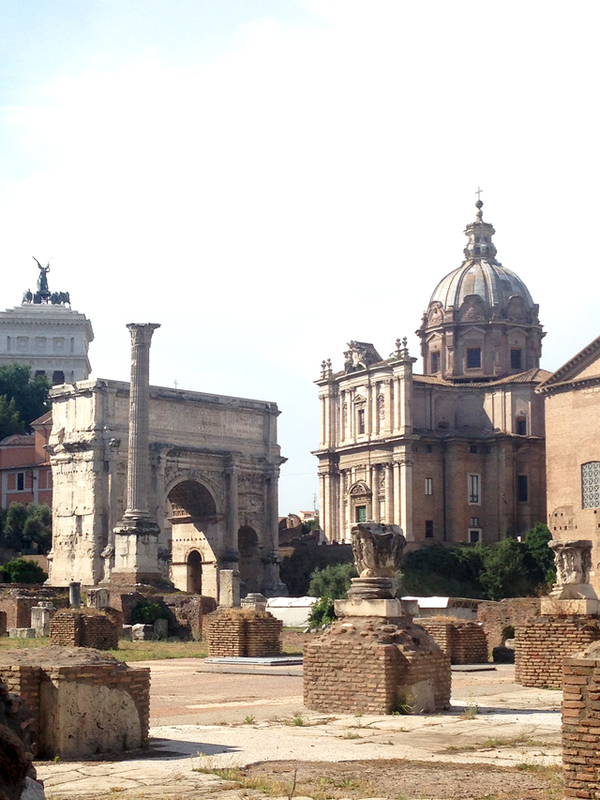 The heat was unbearable, we almost gave up in the middle of one to skip it, but we stuck with it to walk through the Roman Forum. 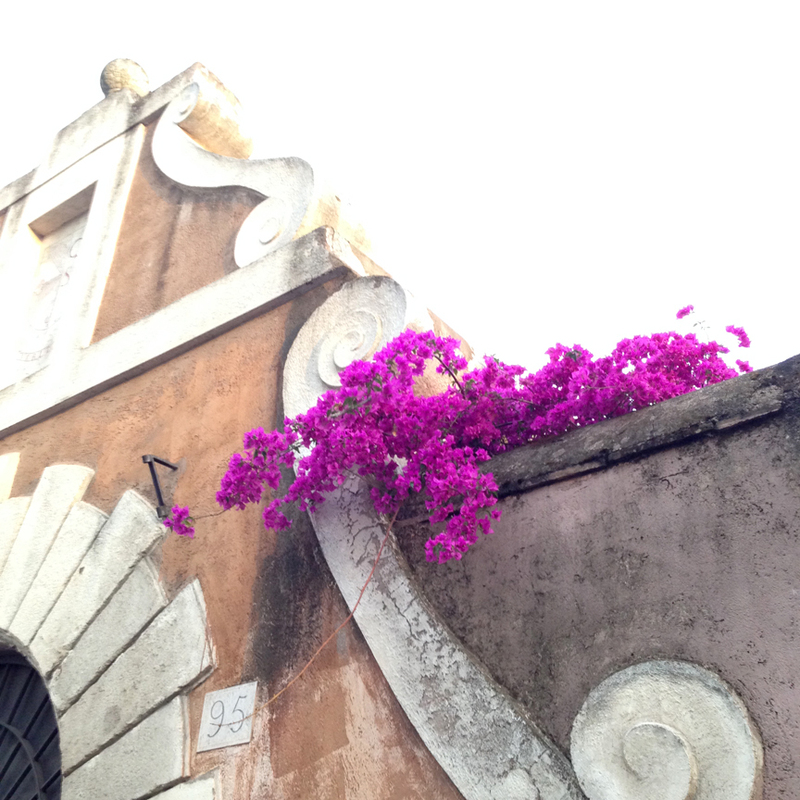 If you are planning a visit to Rome in the summer, I would recommend checking the weather patterns first before visiting. If it’s in the middle of summer, you might want to consider a night tour where it’s not as hot. 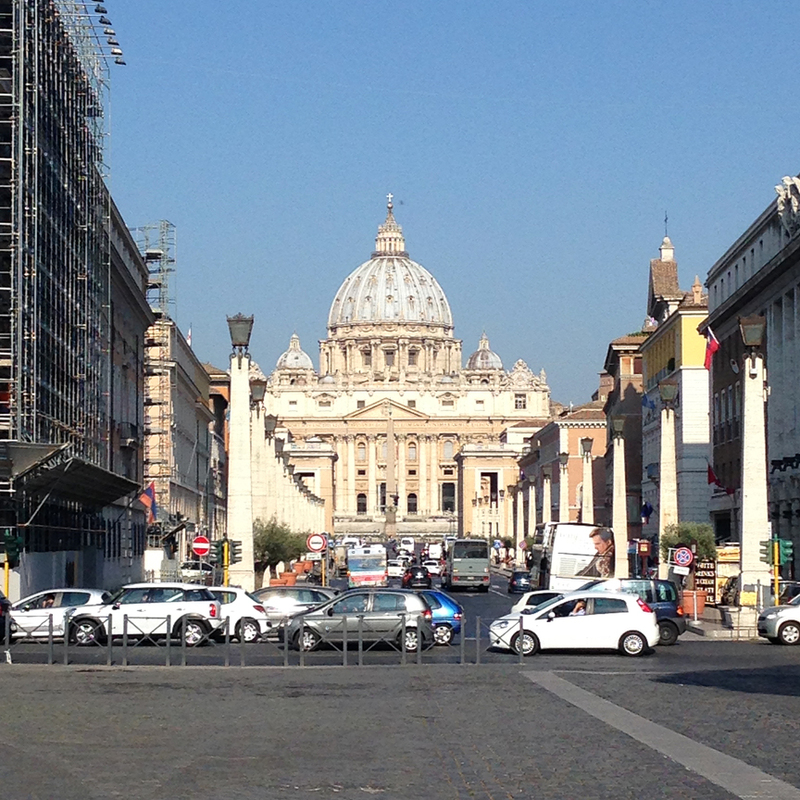 St. Peter’s Basilica is amazing – we wanted to visit the catacombs but the tours were booked. 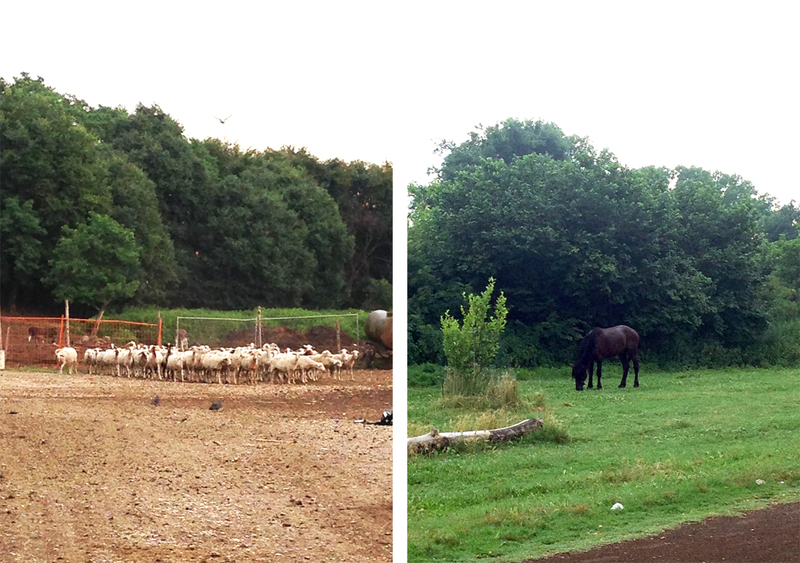 Last but not least is the highlight of our trip which was biking through the Appian Way with Top Bike Rentals. This was in the top two of my husband’s list and although I’m not a fan of biking I decided to try it anyways. 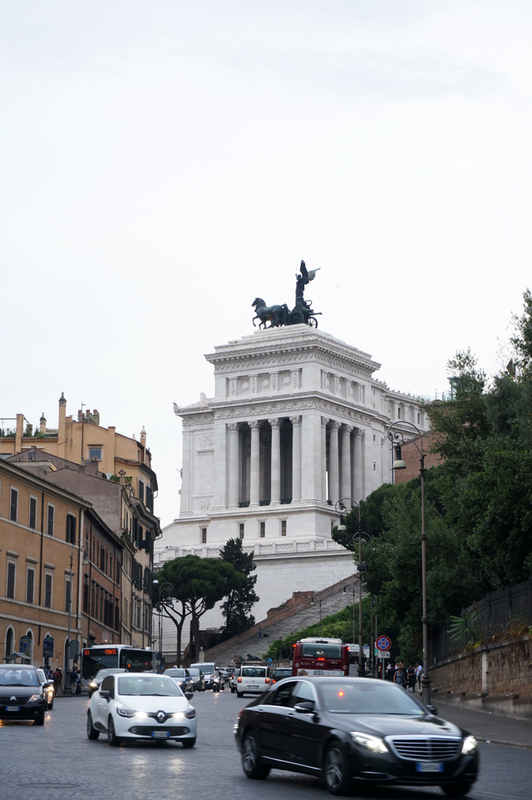 I gave a sneak preview in my overview post but to recap, there are a number of bike tours through Rome. We both picked the E-bikes which I highly recommend – they don’t have motors but are basically assisted bikes which make it really easy to bike up hills. The tours are very well organized. We took a group tour which had about 10-12 people in it. 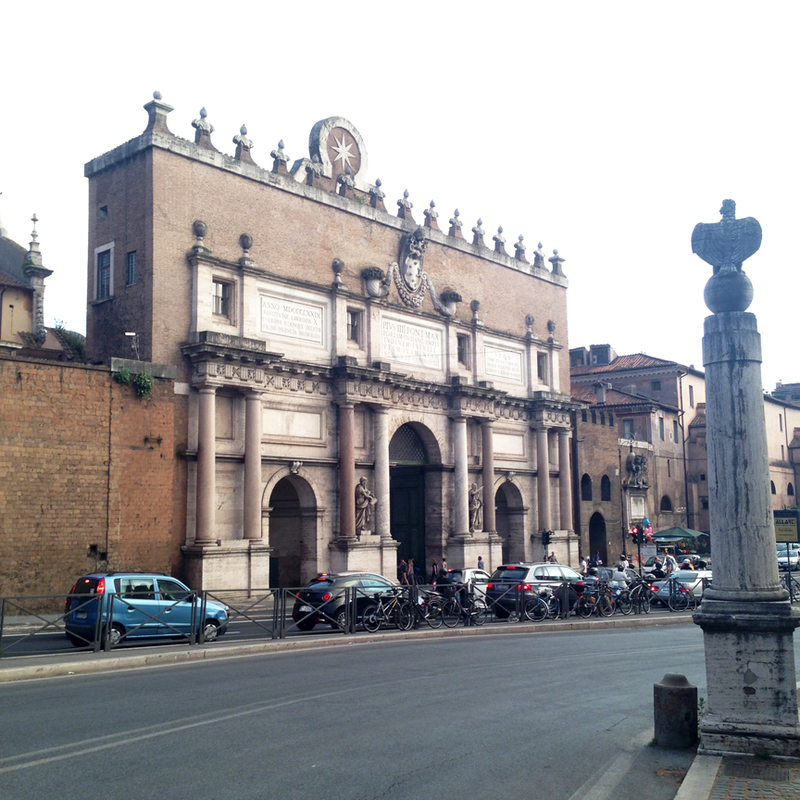 We biked from center city Rome about 20 minutes to the Appian Way. Before you start biking everything is fitted and adjusted for you and then they take you to a small area to practice as a group. 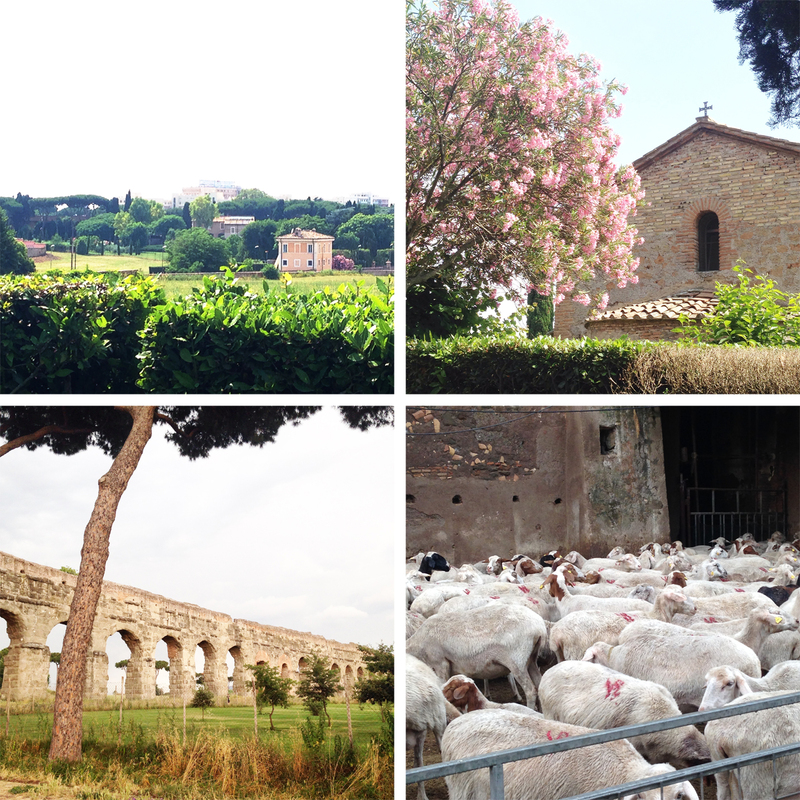 We took the Ancient Appian Way tour that takes you through the Aqueducts Park and St. Callisto Catacombs. We both fell in love with Rome. June is the beginning of tourist season though so every place we visited was extremely busy and packed (although it was expected for the tourist spots). We considered spending another week in Venice at the end of our trip to be our vacation from our vacation but were concerned about planning too much for one trip so it’s been added to our wishlist for upcoming years. I have my packing post coming up soon but some have asked what shoes I ended up taking with me on the trip. I had two pairs I narrowed down my picks to: these Nike Pre-Montreal shoes and these Puma Suede sneakers. Both are very comfortable – I think hands down Nike is almost always a good pick because of comfort (I usually go up 1/2 a size). Pumas are true to size for me. I brought the Pumas and it took about 2 days to break in. They do run narrow but I have really narrow feet so if yours are normal to wide you probably will want to try something different. The Pumas worked well for street walking, biking, hiking up the dirt and gravel paths and also walking on slippery cobblestone roads. 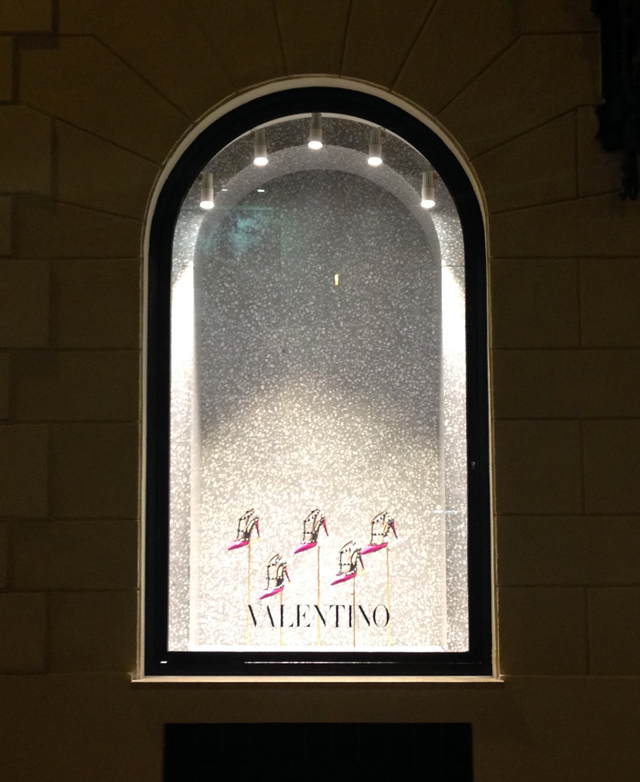 I would have liked to wear prettier shoes (like nice flats) but they wouldn’t have survived in Rome. I saw a lot of women (both Italians and tourists) wearing ankle-strap sandals that looked similar in style to like these Franco Sarto, these Steve Maddens and these Sam Edelmans. I considered taking those kinds of styles with me on the trip but given the activities I planned I don’t think they would have worked for 1/2 of the things we did. If you have any shoe recommendations for travel in Europe I’m all ears for future trips. Have you been to Rome before? Any favorites? 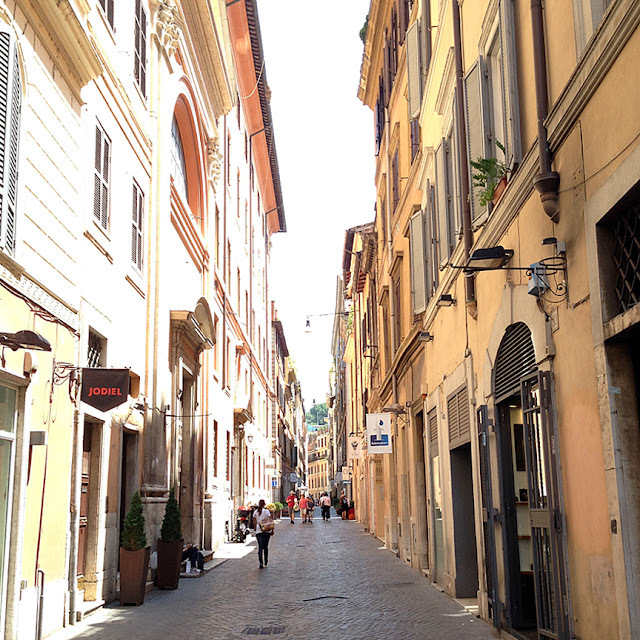 For Italy any other favorite cities you visited and loved that I should add to my travel wishlist?